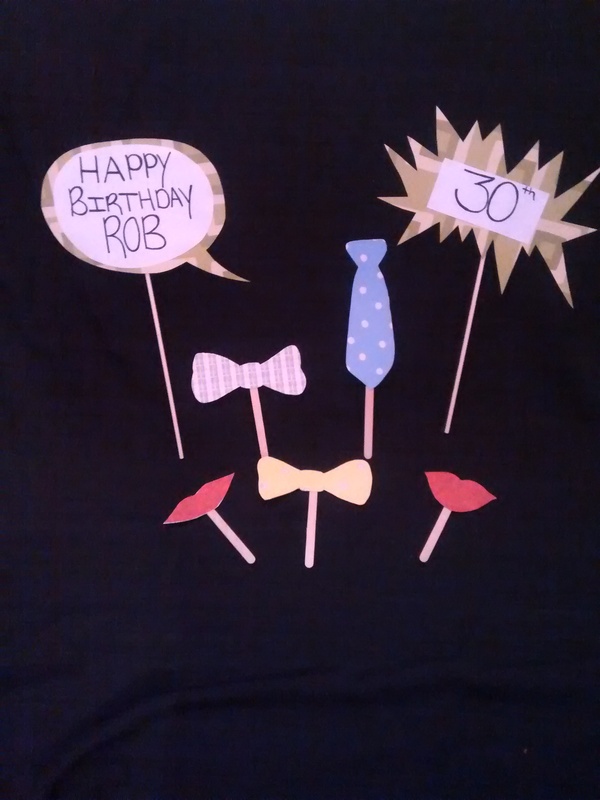 So when my husband mentioned to me many years ago he would LOVE a bouncy castle at a party I took that idea and stuffed it into my invisible vault and tucked it away for years later…who would have thought that I would plan an ENTIRE carnival birthday party for his 30th?! Certainly not him! I took the idea, did a crazy amount of Pintrest research (Follow me @OliveBlogger) and ran with it, and the result…a perfect day with family and friends to celebrate the love of my life! This post is a little different from my usual ones! I have included extra photos and instructions of all the small details that made this party a success (When you click on the description below the photo it will take you to a separate page where you can print out the info to do it yourself!). The inspiration for the ENTIRE party! Leading up to the day the weatherman was calling for rain…I didn’t know what I was going to do if it wasn’t sunny! Didn’t mother nature know how long I had been planning this?! There was no way I could move everything inside and still fit our 40+ guests. Right up until the day of I checked the weather every hour to see if it was changing…and it was, but according to the weather reports it was for the worse. Imagine how incredibly happy I was when I woke up Saturday morning to sunshine (although we could have done without that awful humidity!). We had a plan for that though! We had found a fantastic tent to rent (which was originally in case of rain) that kept everyone cool and shaded, not to mention the gazillion coolers we had lined up along the shaded fence filled with water, pop and of course ice cold beer (it was after all an adult carnival). Now, on to the events of the day. Thankfully we have a large enough yard that we were able to rent a bouncy castle AND still have games and seating set up for our guests. The castle was a little bit of a “splurge” but well worth it in the end. Not only did the kids enjoy it, but a few of us adults took our turns bouncing around as well! (If you recall from my earlier post about planning a perfect event :http://wp.me/p6C8Bi-B I put an emphasis on having a theme and making your details count and the castle was a BIG detail for us!). Here’s the birthday boy taking a relaxing bounce in his castle! No carnival is complete without a few fundamental things! 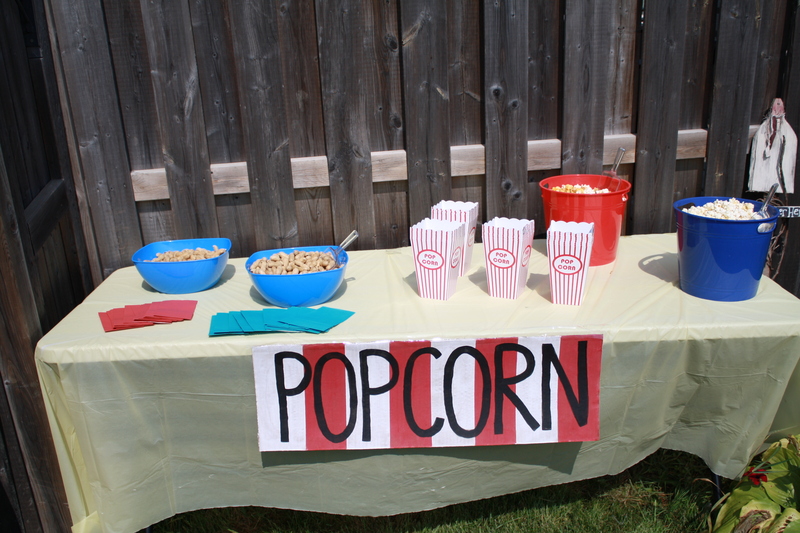 For our party that included; popcorn, nachos, hot dogs, games and a very special guest! Let me just quickly mention here that I literally spent months planning this party as I had a budget set and was NOT willing to go over it (so to save myself some $$ I chose to make most of the things myself, with help from my lovely sister and mom!). 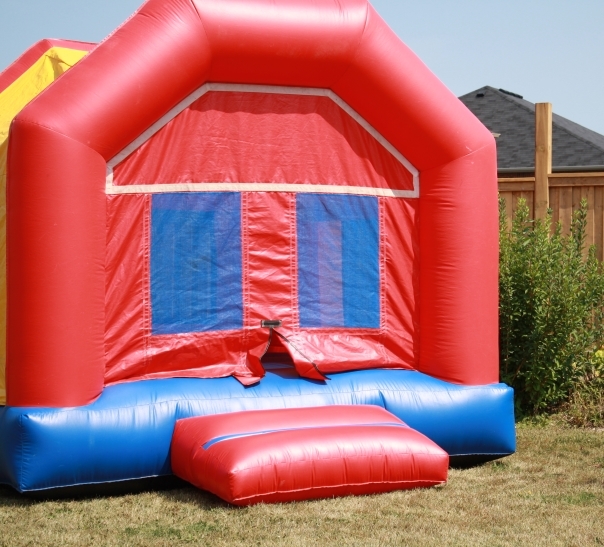 Yes I did SPLURGE on two things (#1 the Bouncy Castle and #2 Our special guest) but I managed to find creative ways to throw the perfect carnival without breaking the bank! I knew it was a success when my youngest nephew came up to me and said “Zia how much do we have to pay for the games and stuff…do we need tickets?”. Seriously, that was ALL the validation I needed that I had done a good job! So, as you continue through the rest of the post I hope you feel inspired to incorporate some of my ideas into your next carnival (or any other event). Oh, and word to the wise, start saving your craft store coupons now! You will want them to help save you some serious money on your basics! Lighted Carnival Sign (a MUST DO for your carnival!) See the attached page by clicking the photo to see how to make it! 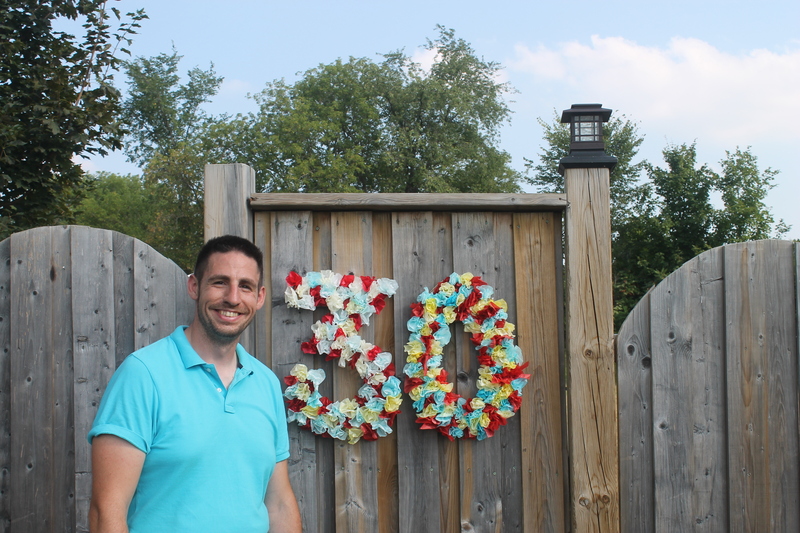 This coffee-filter birthday number was not the easiest to make (it was time consuming and hurt the hands…), but it turned out great and really added to the party! I wanted to do a guest book so that he would have something to remember the day, so I took my leftover “Admit-One” tickets and tore them into strips for our guests to sign. 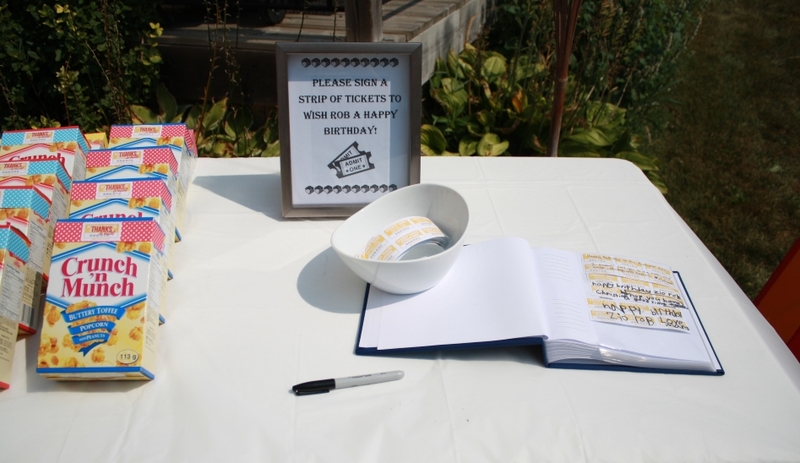 I placed a sign up so people knew what to do and used a simple photo album for them to put their birthday messages in! Once I take the time to print out all the pictures from the day my plan is to match each persons message with a picture of them from the event. Just a fun way to enjoy the day for years to come! This one was ALL my sister! She is so darn creative, all I did was show her a picture I liked and she took it from there! 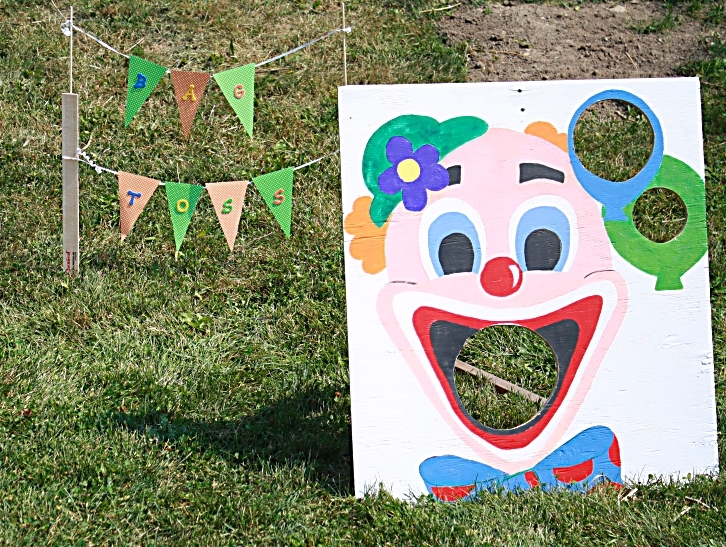 She used a piece of plywood and drew out the clown before painting him with the same tempera paints I mentioned in the sign making above. Once she had him almost done she had her hubby cut out a couple different size holes for all levels of play! We had everyone from the kids to the adults whipping bean bags into it! One of our guests even managed to get it in the green hole (The picture really doesn’t do justice as to how small that one was). What a hit this one was (no pun intended!). 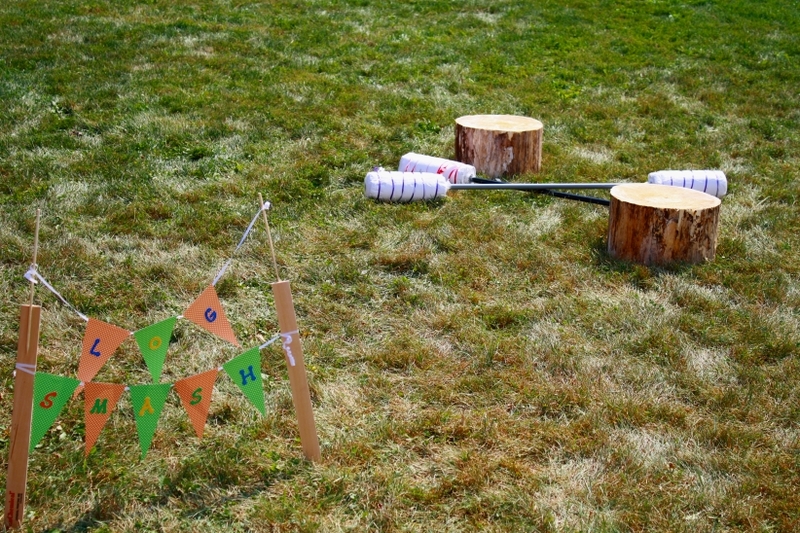 It’s your classic jousting game turned carnival! 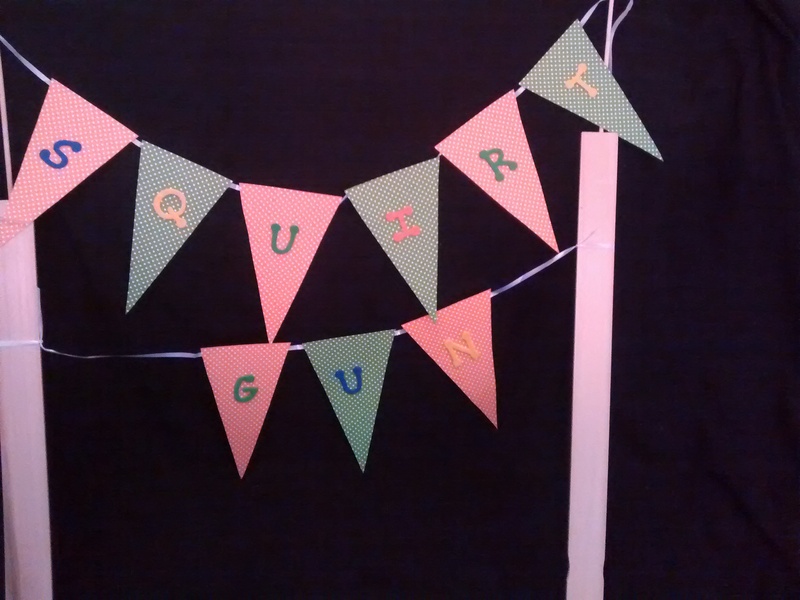 This one I called Squirt Gun, you use the water guns to spray the plastic balls off! That is it! Wow! I had other things set up to do as well but thought that the ones that needed directions would be best to include in the post! I had purchased a small carnival tent which you can find at Ikea that really added some personality to the guests entry into the yard. I also had a small basketball net attached to the side fence for the younger kids to throw foam balls into. Also, we had a nacho station set up for when the guests arrived (but I will post about that one when I do my post on “Food Bars for any Event” coming soon). I chose not to focus on the food for this post, but it was also a major factor in sticking with the theme! I just wanted to share with you one more photo! This was courtesy of our special guest (my second splurge, but sooooo worth it!). That’s me and my hubby! The ring leader and his sidekick! 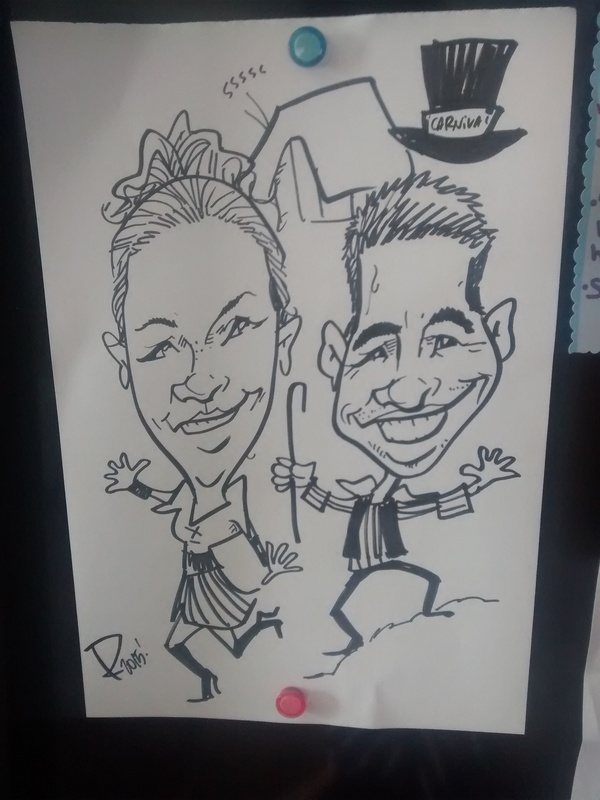 I hired the caricature artist as a gift to my hubby, and he just so happened to be hired long enough for each of our guests to have a turn! I loved seeing everyone’s facebook pages filled with their caricature the next day, it really made me feel like it was a good “splurge”! 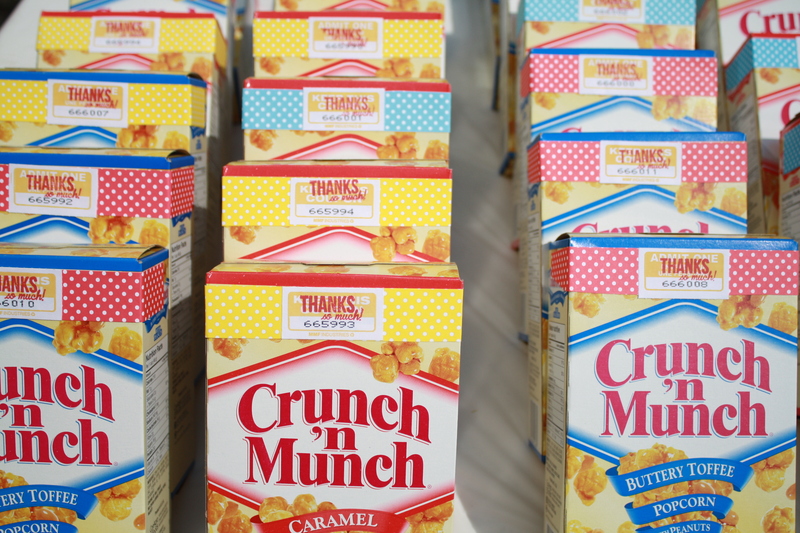 I really hope this post has inspired you for your next event! Remember, you can make it as big or as small as you want, as long as you have a theme you can make magic happen! Please follow me on Pintrest @OliveBlogger and on Twitter @OliveBlogger for more ideas and inspiration!